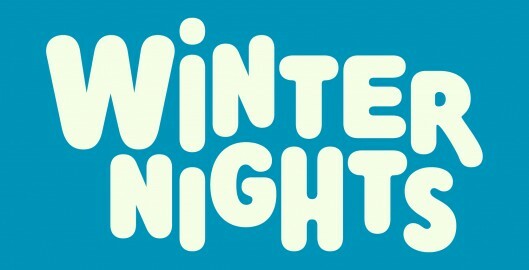 WINTER NIGHTS is a preview festival where creative talent treats the audience with work in progress. On December 16 and 17 2016 no less than 13 (!) theatre makers show what they have to offer in the AINSI Maastricht. The public meets the talents of tomorrow, their work and their view on the world. These multi-talents, theater directors, performers, dancers, connected to SoAP and VIA ZUID transform as many as four floors of the building AINSI into a sparkling field. Visitors will hardly be able to take in all whilst stolling along the corridors, studios, workshops, staircases, offices and hideouts representing the work of young artists. The former cement factory, an authentic building with all its nooks and crannies offers a unique canvas to the experimental WINTER NIGHTS, where ‘participating and sharing the experience’ is the motto. Production company SoAP, located in AINSI and talent agency VIA ZUID present a set of creators who are connected in their search for a new theatrical language, a new visual language; who want to leave the comfortable red plush of the theatre hall and present their work in public spaces or in unconventional locations. The presence of the visitors is required to understand the pieces of the theatre makers who’s work is based on the here-and-now experience.They ask the visitor for a curious attitude as they create from a social conscience of their subjects. Over Friday and Saturday the work of Johannes Bellinkx, Evelien Cammaert, Rita Hoofwijk, Lotte Milder, Sjaron Minailo, Tim de Paepe, Sam Scheuermann, Nick Steur, TAAT – Breg Horemans & Gert-Jan Stam, Dario Tortorelli, Benjamin Vandewalle, Sien Vanmaele, Erik van de Wijdeven and students from iArts training conducted by Nina Willems is to be seen. During the opening night the thesis award of the Faculty of Arts, Zuyd academic year 2015-2016, will also be handed over, including Rita Hoofwijk appearing as a creator of the festival. WINTER NIGHTS is a celebratory festival where the audience is given the opportunity to get in touch, from the very beginning, with Limburg talents of great class.